Training is available across the Asia-Pacific region in local languages. Beware of UK or USA based driver training systems which do not work in developing countries with low driver licencing standards. 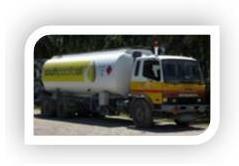 South Pacific Oil (Solomon Islands) engaged SDT to conduct Low Risk Driving Workshops and driver assessments for their tanker and forklift drivers. This training was initiated to improve fleet safety and enable SPO to win more business supplying new mining projects that require all drivers entering their sites to have undergone driver training . SPO was very happy with the training and the media coverage generated and subsequently sent 2 staff for train-the-trainer programs with SDT. SDT has partnered with SPO to improve safety in Solomons. 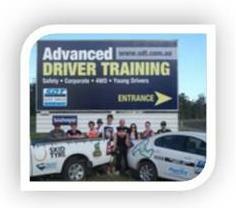 Coles Online have engaged SDT to develop a Safe Driving DVD to assist with the driver training and induction of new drivers joining Coles Online. 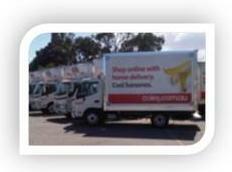 SDT has scripted a 12 segment DVD about the common cause of crashes for these delivery trucks. Coles Online now use this DVD as part of their rollout across Australia. Many large mining and energy companies have engaged SDT to conduct defensive driving courses for their apprentices as part of their on-the-job training. Clients include Rio Tinto, Thiess, Peabody Energy, Dalrymple Bay Coal, Gladstone Ports Authority and NRG (Gladstone) Power Station. Many high schools in the Central QLD region are also offering students the chance to attend SDT courses, to make students more employable to mining and energy companies after graduation. SDT has delivered train-the-trainer programs to large companies in Indonesia, Solomon Islands, Federated States of Micronesia, Papua New Guinea and Malaysia. These programs enable large companies with many drivers (500+) and high staff turn-over rates to conduct (under-licence) a training program developed for internal use. 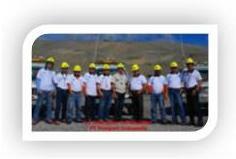 Pictured is SDT instructor Bintarto Agung at Freeport Mine, West Papua conducting a train-the-trainer program. Why implement a Safe Drive Program? Everyday your drivers advertise your company by the way they drive. Just by being on the road, they put themselves, the company vehicle and other road users at risk. Your company vehicle fleet, drivers and riders are expensive and valuable assets worthy of effective risk management. These assets are at risk! The Australian Transport Safety Bureau (ATSB) and the National Safety Council (NSC) recognise that road crashes are the most common cause of work related deaths; injuries and absence from work in Australia . The average company car will crash once every 5 years and the average cost of each road crash is estimated at $18,500 (of which panel repair costs are only a small part of the total expenditure). The road deaths in most Asian countries (which are often under-reported) are amongst the highest per capita in the world. 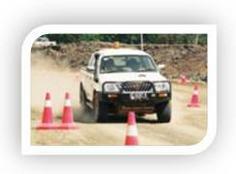 For example, annually in Indonesia over 40,000 people are killed in traffic accidents. A further 500,000 people are injured in traffic accidents in Indonesia each year. In many Asian countries over 800 people are killed each week from motor vehicle crashes. Suddenly the safety of your fleet is worth considering. The true value of safe driving will only become apparent when the real costs of bad driving are fully understood. A driver's licence alone does not make your drivers safe, afterall the road network and vehicle technology is constantly changing but there is no updating or retesting of drivers. You cannot expect people to drive or ride safely unless they have been shown how and given reasons why. Train them don't blame them. In conjunction with Safe Drive Training, your organization can introduce a SAFE DRIVING PROGRAM that provides cost effective risk management and meets your OHS obligations.